After the testing sessions, characterized by heavy rains, Dutch’s sunday presents a much more suitable weather for the third round of the World Superbike Championship. Race 1 starts with a technical problem for Melandri, whom during the sighting lap is forced driving his BMW to the pits, losing precious points for the Championship standings. 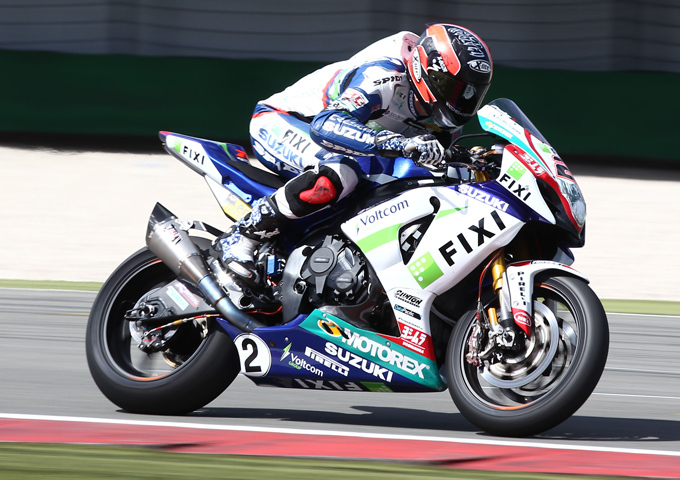 It is instead the amazing comeback of the convalescent Leon Camier, who started in 19th and ending the race in ninth place to characterize the first manche on the “University of Motorcycling”. Race 2 begins immediately with the trio Sykes, Laverty and Rea dictating the pace, while Melandri in sixth position and Camier still pushing hard toward the leaders of the race. At lap 22 the checkered celebrates the winning of Laverty and his Aprilia, Leon Camier earns an unexpected 7th place and Melandri, after a weekend full of woes, ended in 8th position.